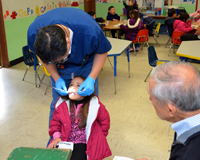 Dr. Jason Gee, a local dentist and member of the San Gabriel Presbyterian Church, recently provided a dental screening for all of La Casa’s preschoolers. Each of the children were examined and given lessons on flossing and brushing. The importance of healthy foods and exercise was stressed as part of total health. Volunteers, from the church, helped to make the process fun and relaxing for the children. A toothbrush and toothpaste were provided for each child. 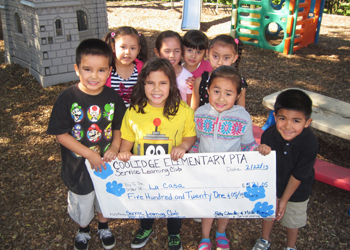 Dr. Gee and volunteers have been providing this service to the preschoolers for 3 years. Parents appreciate the screening and follow up recommendations are provided, so that the risk for cavities is decreased. Thank you Dr. Gee and volunteers!